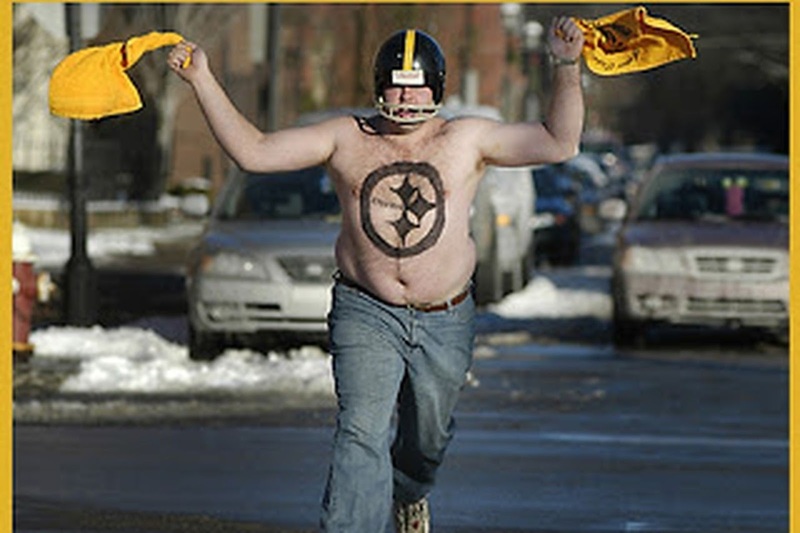 Every single year some idiotic Steelers fans claim that the NFL is against their team. The Steelers went into halftime leading the Chargers 23-7 and ended up losing 33-30. The Chargers scored their touchdown, in the first half, on a long ball that their lineman had jumped early but there was no flag thrown. Yeah the guy had a false start, but it doesnt change the fact that the defensive back couldn't have covered any fan in the stadium on that play. The Chargers came back and won on a field goal. However, leading up the win was quite controversial. The Steelers jumped offsides three times to give the Chargers the win. These were blatant calls that any Steeler fan would have wanted to be called, if the situation was flipped in their favor. Do fans not understand that bad calls are a part of the game? Humans make errors, and until someone comes up with a better idea than having humans ref games, then it should be understood that bad calls, will happen. The league is certainly rigged though, its not the fact that teams throw the ball all over their secondary, yet continually draft offensive skill positions, its not the fact that the Steelers allowed 25 second half points, or the fact that the steelers are an undisciplined team and are also the third most penalized team in the NFL. Its not the fact that their organization has issues off of the field every year. Maybe if the Steelers would pay their players adequately, like Le'Veon Bell, they could have had better clock management at the end of the game and the Chargers wouldn't have been able to come back. This issue is much deeper than a few "bad calls", realistically speaking, the Steelers are a mediocre franchise that can't handle the fact that their team isn't as good as they think they are. After living in Pennsylvania for most of my life, all I've ever heard is "Its the Steelers year this year", just only after the first preseason game, most years. Considering the statement above, the steelers have to have like 10 Super Bowls by now, right? After a quick google search, I realized that the Steelers have actually only won 6 super bowls, pretty impressive, right? Well actually, the Steelers won four super bowls from 1975-1980, and have only won two Super Bowls since 1981. Unbiasedly, thats not very good. The Steelers are a mediocre franchise that had some early success. You'll never convince most steeler fans of this though, because its about as impossible as it is, for their secondary to cover a good receiver. Its completely idiotic to think that the NFL would allow games to be rigged whenever you have thousands of athletes giving their life to the sport, but thats for another blog. After reading through some of the tweets from Steelers fans, it was nearly impossible to leave some of these tweets off of this blog. So please enjoy and laugh out loud as I did. Somehow the Patriots are always brought into the conversation. Its quite hilarious how the Patriots didn't even play in the game, yet still have Steeler fans thinking about them, all of the time. It points to my argument above, that Steelers fans can't handle the fact that they can't compete with teams like New England. Clearly previous matchups matter in this situation, I think this guy assumes that the Chargers roster hasn't changed in the last 20 years. @NFL games are rigged #Steelers....How often have the #Chargers won in Pittsburgh? How many Rivers specifically? Why watch? Surely, why even bet? 15-11 does sound very difficult.